The INTERTON Group, which specialises in the design and installation of sound, light, visual and control systems, was commissioned to design and install the audio system for the new stadium. With extensive stadium sound experience, INTERTON used acoustic modeling to prove its design based on Community R SERIES loudspeakers as the optimum solution. 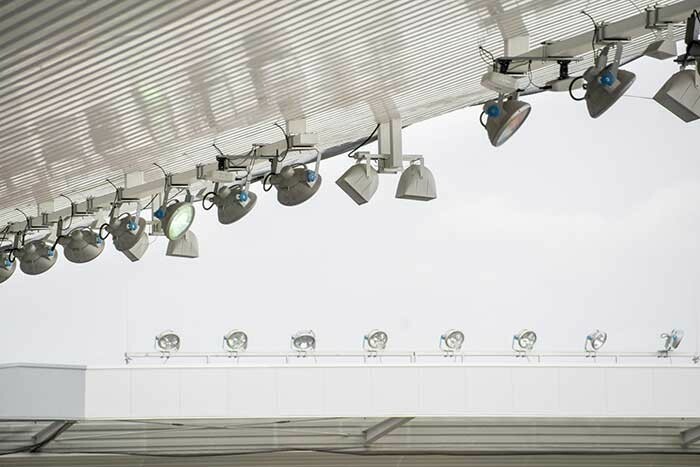 Sixty-four Community R.5HP loudspeakers, flown in pairs under the leading edge of the canopy, cover the stadium’s four seated stands that combine to give a 14,201 capacity. The R.5HP is an ultra-compact three-way horn loaded weather-resistant loudspeaker system, engineered to provide maximum voice intelligibility and high quality music. A single high power Community RSH-462 exponential FocusedArray horn system is located in the stadium’s northwest corner to cover the playing field.